JAPAN's container line Ocean Network Express (ONE) will be applying a low sulphur fuel surcharge for Taiwan and the China emission control areas (ECAs) next year. 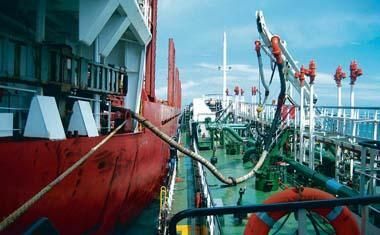 China's three main port areas and Taiwan are implementing a 0.5 per cent sulphur ECA zones which are set to increase the costs of calling as container lines will have to burn more expensive low sulphur fuel in these zones and while at port. ONE is implementing a US$15 per TEU charge for export shipments from central China to the Asia, US and Canada from January 1, 2019. While for North China, South China, Hong Kong and Macau to Asia, US and Canada a $15 per TEU surcharge will be levied from January 15, 2019. For all other destinations for exports from China, Hong Kong and Macau a $15 TEU surcharge will be implemented from January 1, 2019, reports Seatrade Maritime News of Colchester, UK. For Taiwan ONE will levy a $20 per TEU surcharge for imports and exports to and from all destinations. 'ONE continues to explore all avenues available to mitigate fuel consumption and fuel associated costs for the benefit of the global environment and the supply chain costs of our valued customers,' the container line said. This news 295 hits received.